An astute, eloquent and responsible individual, who has the aptitude to succeed, whilst consistently striving to achieve meritorious standards of work with integrity. A quick learner with a good work ethic who is also reliable, dependable and committed. - Worked effectively in group situations. - Analysed strategic and operational plans providing feedback on areas of improvement. - Researched, planning, costing, statistical and mathematical analysis. Billiards, Cricket, Rugby, Formula 1, Football and Indoor Cricket. 18, Byrde Place, Colombo 06. 297, Union Place, Colombo 02. Unit Trust Funds, Equity & fixed income instruments & portfolio management at CSE. Advising high net worth individuals and Corporates in equity & fixed income instruments. Over the past two years, I have successfully researched investment products, prepared presentations and developed client relationships as a Senior Corporate Investment Advisor with Sri Lanka’s pioneering Unit Trust Company National Asset Management Limited which is a joint venture between Sri Lanka’s two leading bank’s Union Bank and DFCC Bank with Singapore’s B P De Silva Group having a minor stake. During a volatile period in the Colombo Stock Exchange I managed to bring in as of 01st May 2016 to 15th October 2016 investments accounting to LKR 33.3 Million when South Asian as well the Regional Asian Markets were going through a tough period. As for the year 2016 specially 2016 Q1 as well as back then Q2, Q3 when Chinese markets were down by 20% which cascaded to regional stock markets with Singapore, Hong Kong and India experiencing 12%, 13% & 8% heading towards a low trajectory respectively and with Sri Lanka’s CSE experiencing a 9% low, my contribution in convincing institutional investors as well as high net worth individuals to invest with the National Asset Management Limited during the above mentioned period clearly showcases my skills to bringing in investments even during hard times as well as to contain the existing wealth that was there with the Unit Trust company. Stayed for a brief period, was head hunted to National Asset Management Agency Limited. Attached to Associated Motorways Capital Leasing. Handled leasing facilities for light vehicles to heavy vehicles as well as financial backend work. Researched, analysed and evaluated the feasibility of new projects and prepared analytical reports and presentations for Just In Time Group of Companies (JIT) / IIHE and prepared Board Papers in consultation with the CEO for such projects. Diversified exposure to All Just In Time Group of Companies Operations and functions. Successfully facilitated the process of obtaining UK's No.1 Business School for the year 2014 UOS & IIHE partnership and UGC recognized Higher Education center for the company. Strategized and achieved revenue accounting to LKR 40 Million within 2013-2015 years. Successfully Designed, Developed and executed University of Wales, University of Salford branding/marketing campaigns. Compiling University of Wales 2014 March Convocation Ceremony Final Accounts. Keep up to date with market trends and new developments utilizing information for business improvement of Just In Time Group of Companies. Understood Just In Time Group of Company’s image stock and secured the rights to new images, libraries and other media that continually enhanced Just In Time Group of Companies performance. Kept up to date with market trends in apparel and new developments for business improvement and business analysis reports & preparation of presentations for MAS Intimates Unichela. Involved in CSR projects of Unichela, employee relations, recruitment, health and safety, production and training center. Research, analysis and evaluation the feasibility of new projects and involved in conducting a survey for Internal Recruitment to identify innovative recruitment campaigns and preparation of analytical reports and presentations. Completed Marketing, Finance, Accounting, Managing Risk, Economics, Managing Strategy, Operations Management, Business Research Methods, Statistics & Business Mathematics, Managing Strategy, Corporate and Global Strategy & Managing Change Leadership. Successfully Completed a Business Mathematics & Statistics report on Demand Forecasting, A Group presentation relating to Operations Management on Cinnamon Red & a case study based Suzuki report pertaining to Global Strategy with "Distinctions". Debt Securities, Technical Analysis, Capital Markets, Equity Securities Series, Securities Regulation, Ethics and Marketing Series, Financial Statement Analysis. Report on Strategic Plan for Seylan Bank PLC. Quality Management, Operations Management, Management Information Systems, Marketing Management, Human Resource Management, Project Management. Leader of the “Best Team” in an extensive first of its kind KPO & BPO research, report and presentation at NIBM. Completed A Financial & Non-Financial Analysis on Dialog Axiata and SLT. 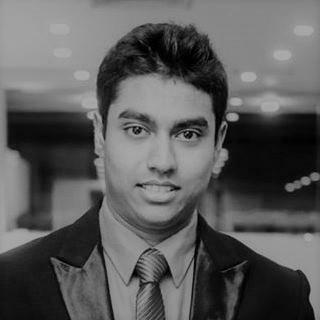 "BSc Thesis - Factors affecting intention to leave: In case of Customer Service Representatives of the BPO Industry in Sri Lanka." Java Programming, Netbeans, Visual Basic, Data Base Management Systems.